Control has the single-player story we’d expect from Remedy, but it’s also much closer to an open-world game than anything we’ve seen from the studio in the past. 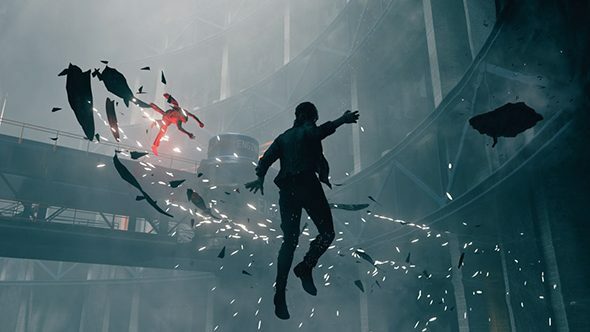 It’s not quite as free-roaming as a traditional open world, but Remedy is building a far more open-ended experience than it has with the likes of Max Payne and Alan Wake. You play as Jesse Faden, who’s undergone a strange ritual to become the new Director of the mysterious Federal Bureau of Control. The bureau’s being attacked by a similarly mysterious force called the Hiss, which is wreaking havoc inside the headquarters, The Oldest House. This building – a magical place of power with a constantly shifting interior and layout – is the setting for the entire game. Dig up all the best sandbox games on PC. Jesse will uncover new abilities over the course of the game by finding “objects of power,” and these abilities will let you reach previously inaccessible locations. One such ability is levitate, which will naturally let you float over to new locations, opening new avenues for exploration. There is a central story in Control, and according to game designer Thomas Hudson, it’s filled with “our usual cast of memorable characters and the sort of twisted story you’d expect from Sam Lake and all of us at Remedy.” Directed missions will take you around specific paths to specific characters – both friendly and not-so-friendly – through a core narrative. But part of that story is about presenting you with a big, mystical environment to explore. Control is “more open ended” than previous Remedy games, Lake tells us. “It’s more sandboxy in a way,” he adds. Alternative paths will spoke off from your main missions toward new characters with unique side-quests. It’s quite a bit different than the linear action-adventure games Remedy has built in the past, though it sounds like the studio is expanding on that formula rather than replacing it entirely. The Control release date is still a bit nebulous – we expect it sometime next year – but we’ll keep you updated as we find out more.